In an ideal world we would all be well prepared for winter by making sure our vehicles have been checked over with a schedule service ahead of the harsh winter weather arriving. In reality, a good deal of drivers will inevitably find themselves caught out at the worst possible time in the worst weather conditions. If you do find yourself in a situation where you don’t have the correct kit available to sort you out, there are some workarounds. Of course, if your battery is dead or your heater doesn’t work there's not a lot you can do at the side of the road other than get help. 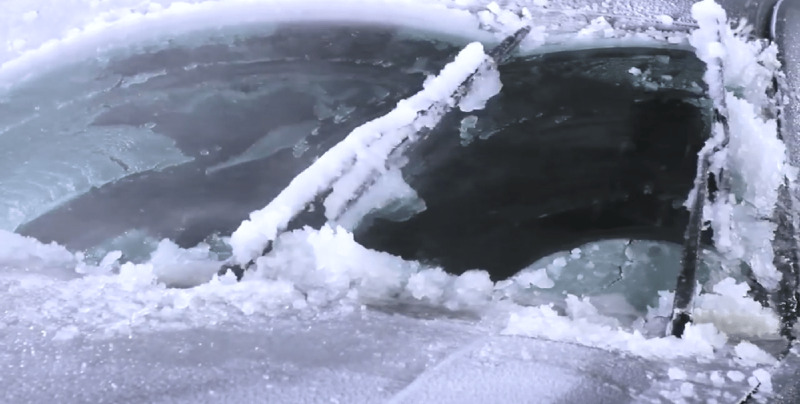 But if your wiper blades are the issue, here are a few ideas of what you can do to fix frozen wiper blades. If the weather has been particularly cold overnight, scraping the ice off a windshield is an inevitable and unpleasant part of winter driving. But if your wiper blades are frozen solid it's even worse. Driving with abysmal outward vision isn't a good idea, and trying to pull them free by brute force could easily break them or at least damage the rubber. A proprietary de-icer is a good way of getting them free, but what if you've forgotten to buy some or you've run out? Before we get to what you should do, there are some things you absolutely shouldn’t do. The last thing you should do is to use boiling water to de-frost them. Your windshield will get the water on it as well, and there's every chance the glass will crack. If you don’t have a proper de-icer, a mix of vinegar and water will do the trick almost as well. The water needs to be at room temperature and no warmer, and the mix should be about three parts vinegar to one part water. This solution can be sprayed on your wipers and windshield at night to reduce the amount of ice, but it can also be used on frozen wipers to de-frost them. But if you're stuck somewhere without access to room-temperature water and vinegar but you have a jar of pickles in your groceries or packed lunch, the juice from the pickles can be used as an emergency hack for defrosting. 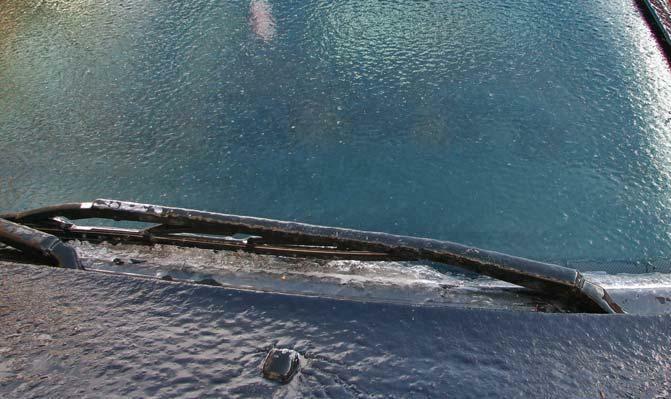 Of course, preventing your wipers freezing is better than dealing with it when it happens. One of the best preventative measures is to cover the windshield with something like a sheet or piece of carpet once your vehicle is parked up for the evening. By carefully lifting the wipers and placing them on top of the cover you will prevent them freezing to the windshield as well as preventing the windshield itself from freezing. It might look a bit odd, but putting a pair of old socks over the windshield wipers will also stop them freezing to the windshield. It might sound obvious, but make sure they're long enough to keep the whole of the wiper off the windshield. Finally, please make sure your wiper blades are in top condition before the winter weather sets in. Your wipers are incredibly important for winter driving safety and it doesn’t cost much or take long to have new rubber fitted to avoid those annoying nicks or cracks that make seeing difficult and driving dangerous. For more advice and help getting ready for winter driving with proper car care, car service or just to get new wiper blades fitted quickly and affordably, don’t hesitate to get in touch with us here at Essig Motors today.